Are you living in the Halton region and looking to find new car deals in Oakville? Look no further, because here at Budds’ BMW Oakville, we’ve got you covered. We have many different financing and lease programs to assist you in making your dreams a reality and in bringing home a new luxury BMW vehicle. Whether you’re looking for an SUV, coupe, pickup truck, sedan, or sports car we have a wide variety of new car deals in Oakville at Budds’ BMW Oakville. 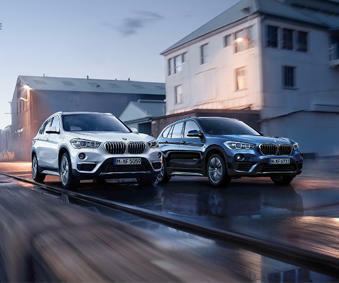 In addition to having a wide variety of financing and lease programs for you to choose from, we also have many packages to help you customize your brand-new BMW vehicle. Our new car deals in Oakville allow you to customize your BMW to suit your needs and style with genuine BMW accessories. Whether you want to upgrade to a leather interior, customize your wheels and tires, or utilize our new and innovative entertainment technologies, Budds’ BMW Oakville has something for everyone. On our Budds’ BMW Oakville website, we make finding new car deals in Oakville simple. In our drop-down menu, you can find a variety of features that will assist you in customizing your own luxury BMW vehicle right before you even enter our showroom. On our website, you can browse our special features menu, where you can easily book an appointment to test drive your dream car. In addition to booking a test drive, we have all of our top quality new BMW models featured along with lease and financing programs that will suit your needs. If you prefer to build your own vehicle to suit your individual style and lifestyle needs, then feel free use our build and price feature. All of our brand-new models are listed and customizing is made simple with our user-friendly features. Finding new car deals in Oakville has never been made so easy! Budds’ BMW Oakville is here to assist you. Here at Budds’ BMW Oakville, finding new car deals in Oakville is made easier with the help of our friendly and knowledgeable team. Once you’ve decided on the financing or lease program and vehicle that best suit your needs, feel free to book an appointment online or call our dealership to connect with one of our client representatives. We are here to assist you and make your experience purchasing a new luxury BMW automobile an enjoyable one. Feel free to book an appointment at Budds’ BMW Oakville today. We’re happy to help you!